When you launch Funter for the first time, the system will show you several standard messages. 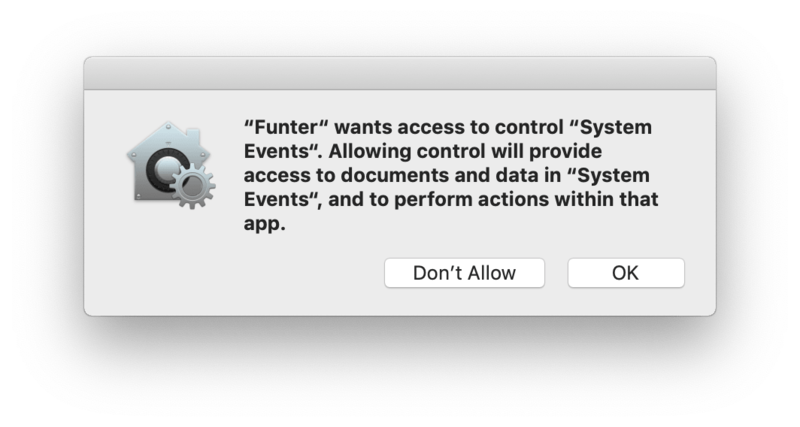 You should allow Funter to have access to control System Events and Finder in order to make it work correctly and avoid issues. 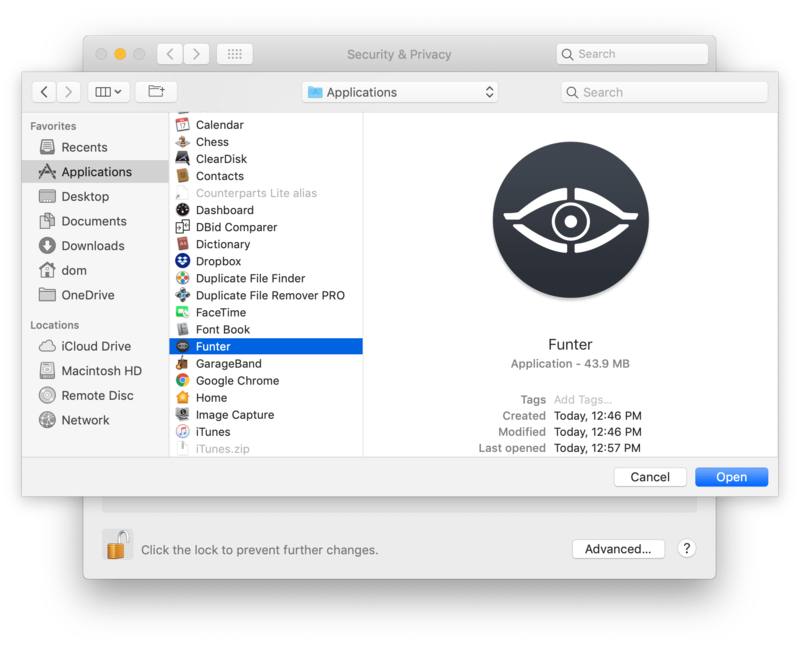 To easily switch hidden files visibility with Funter, please follow our guide. Launch Funter. In the menu bar, click the app’s icon and from the drop-down window and click the Show Hidden Files button. 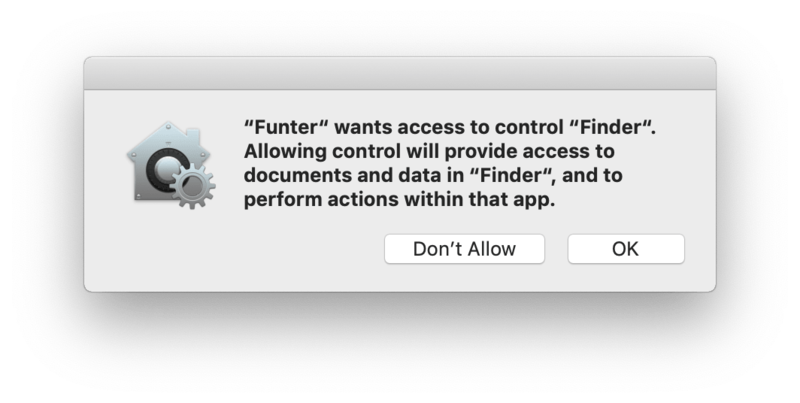 You will see a message that Funter wants access to control Finder. This is necessary to allow Funter access to switch the hidden files’ visibility. 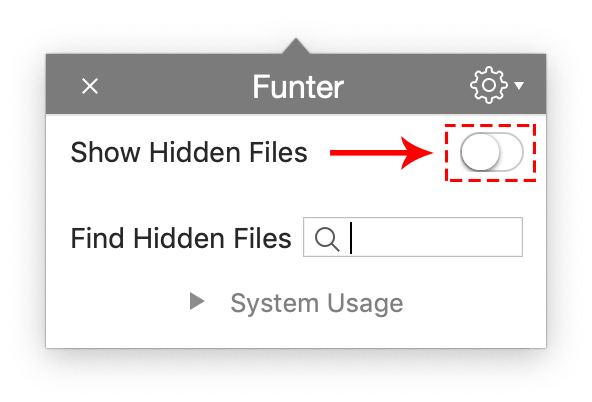 Click OK to allow Funter to hide or show hidden files in Finder. If you clicked “Don’t Allow” by mistake, go to System Preferences → Security & Privacy section → switch to the Privacy tab and enable option “Finder” for Funter in the Automation section. The next message you will see is that Funter wants access to control “System Events.” Click OK. 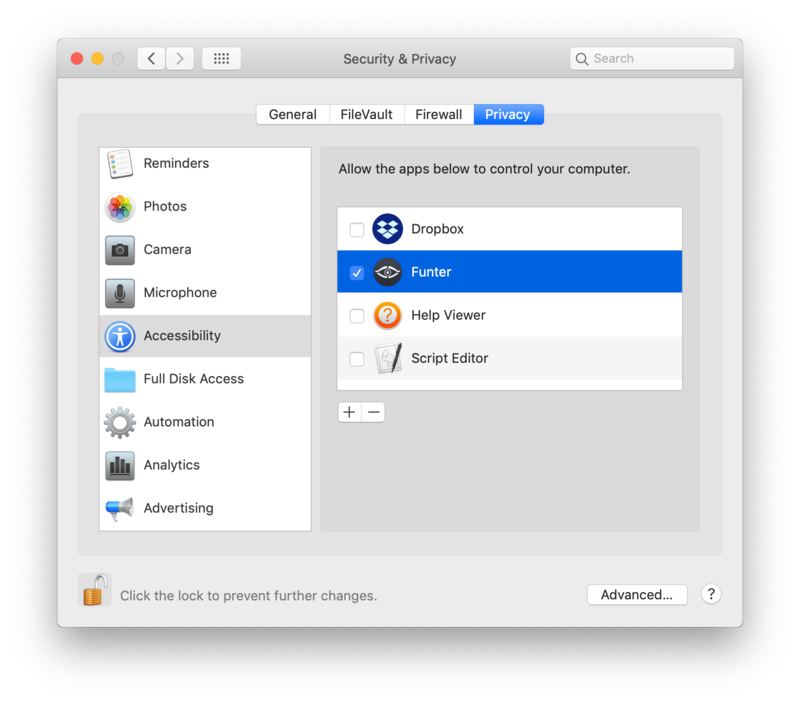 This is important to allow Funter to interact with hidden files and operate them. If, for some reason, you clicked “Don’t Allow,” give Funter the permission manually. 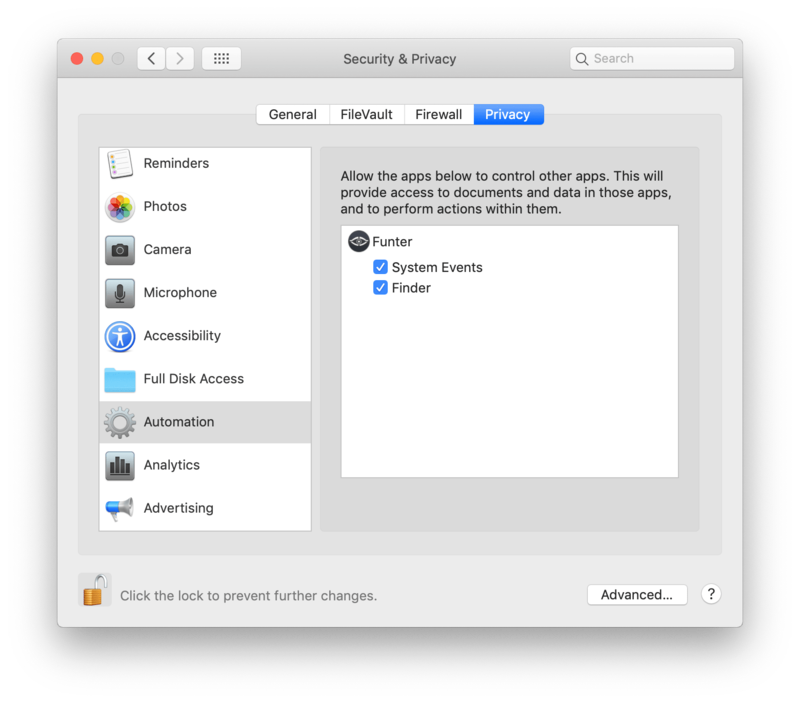 For this, go to System Preferences → Security & Privacy → Privacy tab → select Automation from the list and enable the checkbox “System Events” for Funter. The last message you will see is a system notification about granting access to this application in Security & Privacy preferences. 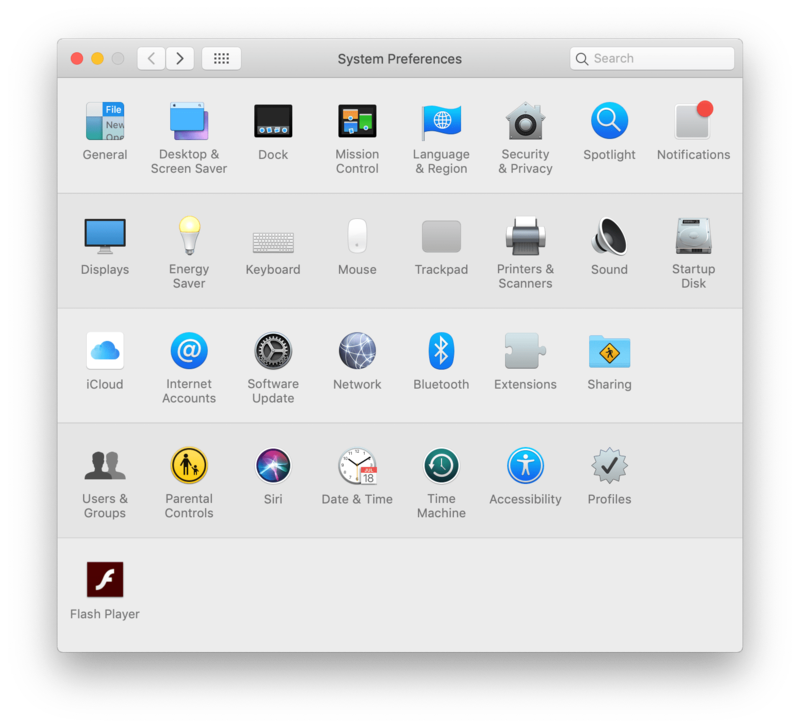 Click the “Open System Preferences” button. 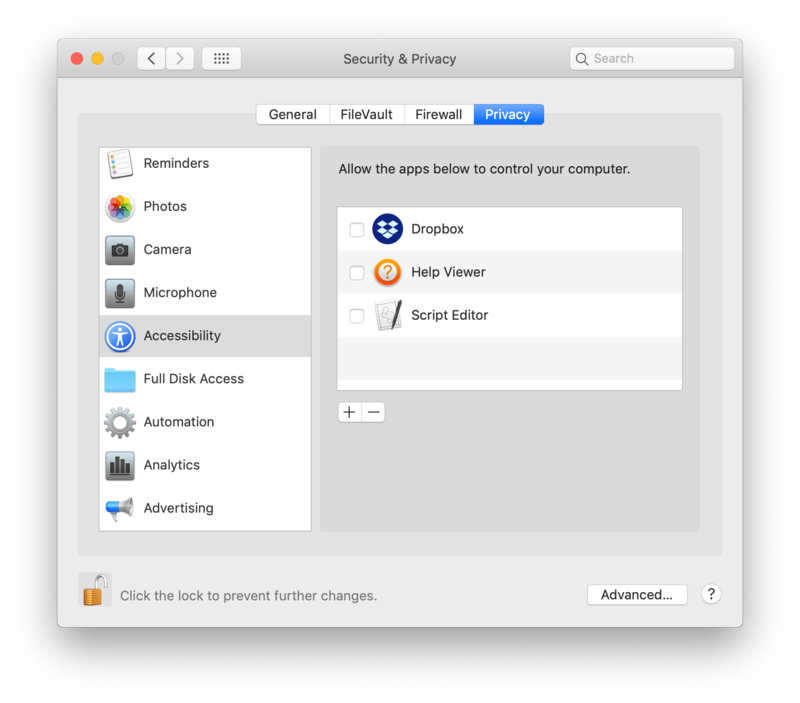 You will see the Accessibility section the System Preferences window. Click the Lock icon and enter your password to be able to make changes. Then enable Funter. If for some reason you don’t see Funter in the list, then add the app manually. Click the Plus button under the list of apps → go to the Applications folder → select Funter and click Open. If you have any questions about Funter, don’t hesitate to contact our support team by email. We will be happy to assist you.